Samantha and George are a couple heading towards a sabbatical year in the quaint Mexican town of Oaxaca. For Samantha, it is the opportunity to revisit her past. For George, it is an unsettling step into the unknown. For both of them, it will be a collision course with political and personal events that will alter their paths and the town of Oaxaca forever. 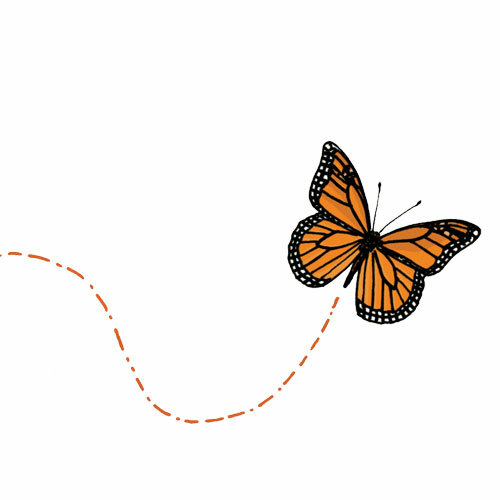 In tandem, the remarkable and arduous journey that a monarch butterfly endures on its annual migration from Canada to Mexico is woven into Ruins. This creates a parallel picture of the challenges of survival in our ever-changing world. 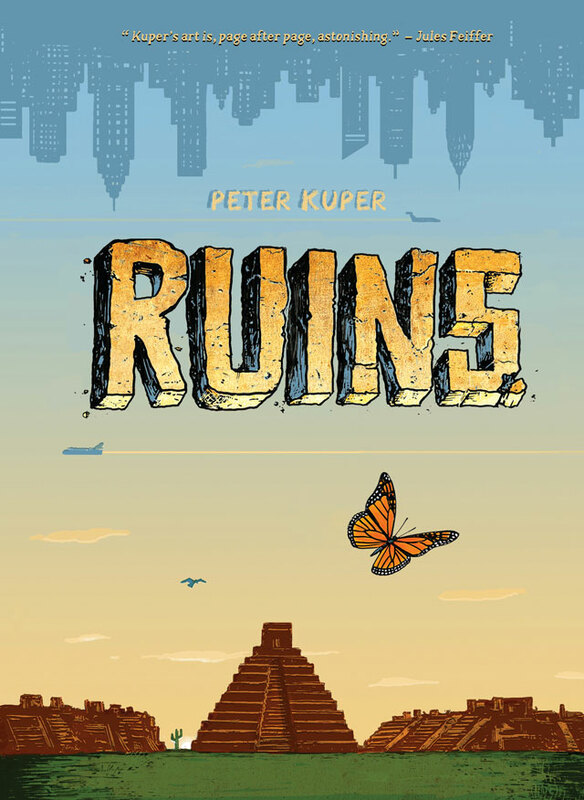 Ruins explores the shadows and light of Mexico through its past and present as encountered by an array of characters. 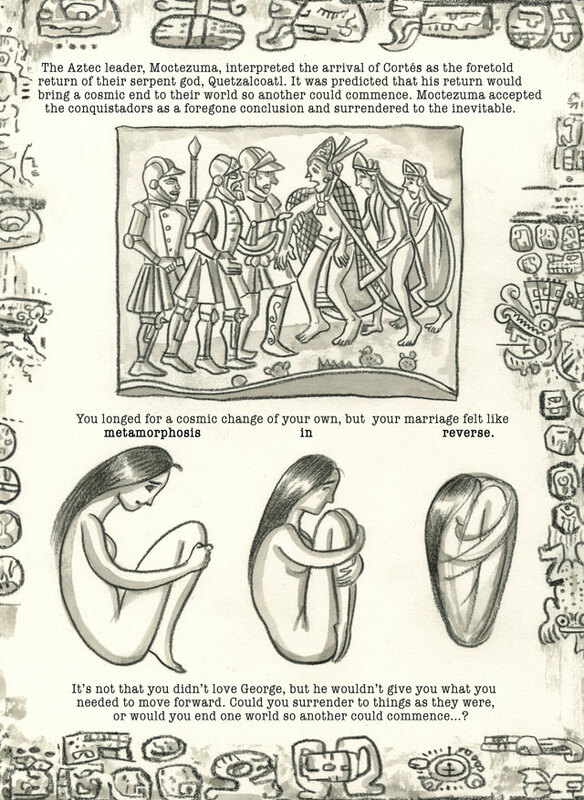 The real and surreal intermingle to paint an unforgettable portrait of life south of the Rio Grande. "Kuper's art is, page after page, astonishing." "The bright, incident-packed panels of Oaxacan life are nicely balanced by lovely sketches of insects and the sparer rendering of the butterfly's journey, its fragile orange wings warm against blue-grey landscapes." 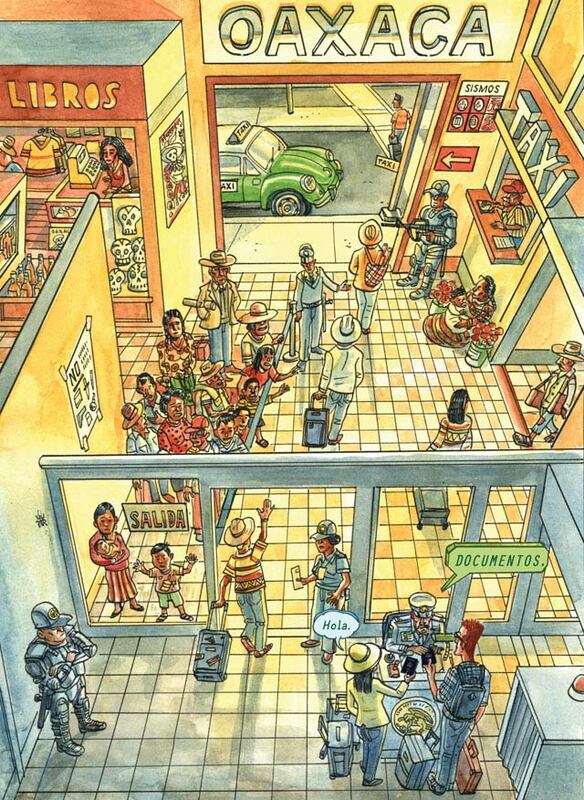 "This magnificent graphic novel by Kuper follows an American couple who decamp for Oaxaca, Mexico, for a sabbatical and creative recharge, only to get far more than they bargained for… It's a beautiful, epic roman à clef about the importance of seeking the new and questioning the old."